This short course is designed to provide knowledge and understanding of surface equipment, downhole tools, various applications, and operational contingencies for rigless well interventions involving coiled tubing, slickline, or wireline. The participants will learn first-hand knowledge of the capability of each intervention and what to consider when choosing which intervention method to utilize. The course will cover recommended risk mitigation and well control barriers as well as best practices gained from years of experience and application. To further illustrate the intervention methods utilized to resolve well issues or enhance well performance, real world examples for coiled tubing, slickline and wireline will be presented and discussed. Recognize and explain function of the Pressure Control Equipment and Bottom-hole assembly’s for coiled tubing, slickline and wireline interventions. Discuss risks associated with each each type of intervention and the corresponding mitigation controls recommended for each job type. Enhance rigless intervention safety, efficiency, and success by applying industry best practices and lessons learned for each job type. Poorly understood and inefficiently planned rigless interventions can create costly, and often dangerous, problems for operators. These issues can be avoided with the knowledge, best practices, and lessons provided in this short course. Attendees of this course will benefit from the increased knowledge of rigless, live well interventions including coiled tubing, slickline, and wireline. In addition, course attendees will review engineering design considerations, recommended safety policies, and best practices that can positively affect operations. This course is designed for engineers, senior operations personnel, and company representatives with zero-to-intermediate well intervention knowledge who are assigned to evaluate, plan, and/or execute coiled tubing, slickline, or wireline interventions. Computer is optional but would be beneficial as the participants may wish to view resources that the instructor will share. 0.8 CEUs (Continuing Education Units) are awarded for this 1-day course. Ron Zbitowsky is a petroleum engineering consultant for Saudi Aramco. He joined Saudi Aramco in 1999 specializing in rigless well intervention. He works in the technical support unit of the Ghawar gas production engineering division in Udhailiyah, Saudi Arabia. 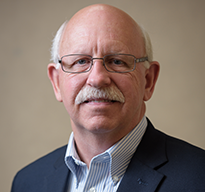 Ron has 34 years of combined experience in drilling, reservoir, pipeline and production engineering in both conventional and unconventional natural gas reservoirs. Prior to joining Saudi Aramco, Ron worked for various exploration and production companies operating in the United States primarily in South Texas, Louisiana, Alabama as well as West Texas and New Mexico. In 1982, he received a BS in petroleum engineering from Texas A&M University. Ron is a licensed Professional Engineer in Texas and is a member of the Society of Petroleum Engineers (SPE). Todd Green is a production engineering technical advisor with Saudi Aramco. A graduate from Texas Tech University with a BS in multidisciplinary science, Green taught high school physics and chemistry for eight years in the early years of his career. He entered the petroleum industry with BJ Services in 2006 as a field engineer in the Permian Basin field of Texas. During two years of field work, he personally attended over 180 coiled tubing (CT) field operations. In 2008, Todd accepted an international assignment as a desk engineer with Baker Hughes supporting all coiled tubing intervention in the southern area of Saudi Arabia. Green served in this role until 2011 when he joined Halliburton for a similar role in Saudi Arabia. 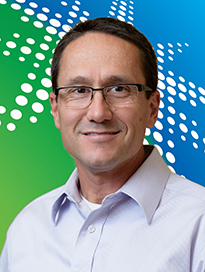 In 2014, he joined Aramco Services Company in Houston to serve as coiled tubing subject matter expert on a multidisciplinary upstream technical team. In 2018, Todd transferred to Dhahran to work for Saudi Aramco as an instructor and technical advisor for production engineering. Green is an active participant in SPE. He has taught multiple SPE short courses at ICoTA and ATCE on rigless well intervention and served as ICoTA International Chairman from 2016-2018.